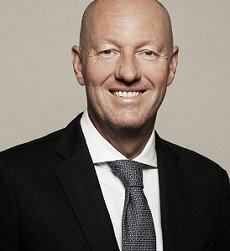 Markus Ettlin is new Managing Director and Chairman of Merkur Sportwetten GmbH. The company consolidates all sports betting activities of the Gauselmann Group, with operations in Germany, Austria, Belgium, Denmark and Sweden. Only a few days ago, it announced its entry into the Polish betting market with the acquisition of sports betting provider Totolotek. Sports betting enthusiasts can place their bets under the MERKUR sun at over 2,200 points of sale (shops, kiosks, terminals) and a wide variety of internet channels. Founded in 1957, the Gauselmann Group is an international, family-owned company from Espelkamp, Eastern Westphalia (Germany) active in the entertainment and leisure industry. Alongside the development, production and sales of games in amusement machines and money management systems, the group operates the well-known arcade chain MERKUR Casino and is also active in the sports betting, online gaming and casinos business segments. The Gauselmann Group employs 13,300 people worldwide and generated a business volume in excess of 3.5 billion euros in 2018.